“Dont [sic] forget to update us in couple months (days??) to let us know how much you lost,” the top reply retorts. Reactions would’ve likely been the opposite 20 years ago, when sites like E*Trade, Ameritrade and TD Waterhouse spent a combined $1.5 billion a year on advertising to convince everyday Americans to fire their brokers and begin picking and trading stocks themselves. These services offered lower fees for executing trades and convinced wide-eyed average Joes that they could make a killing playing the stock market from the comfort of their home PCs. So much so that “on-line” trading was a popular hobby in 1998 among eager 20-something men and retirees who grew bored with the golf course. Some people even made hundreds of thousands of dollars a day, according to financial columnist Michael Sincere. But the idea of the at-home day trader seems as arcane today as hyphenating the word on-line. It became even harder after the widespread adoption of automated trading, where investment banks started using software programs to execute thousands of trades instantaneously. 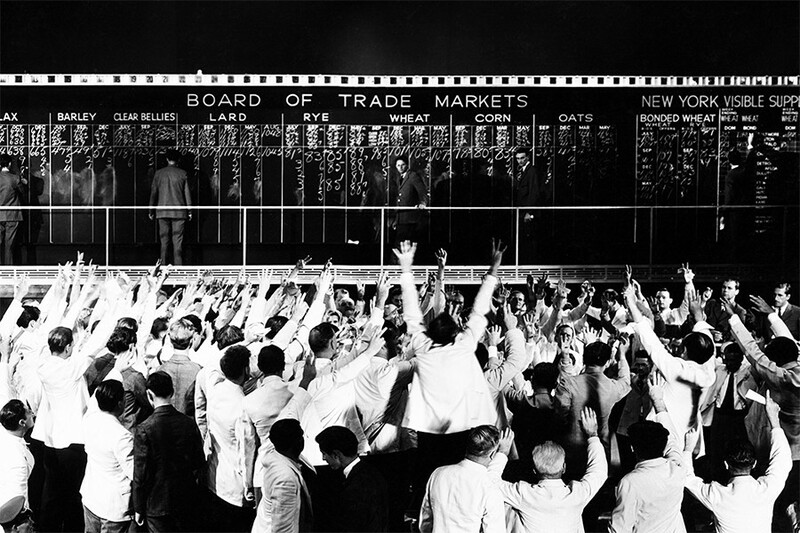 Pit traders lost their jobs to computer programmers, and the day trader was left far behind. The rise and fall of day trading is maybe best reflected in the stock price for E*Trade, long the leader in online trading. E*Trade stock hit its peak at $577 per share in April 1999, amid the first dotcom boom. The stock fell rapidly thereafter, though, trading at less than $100 for much of the early 2000s, before surging to more than $200 a share in 2005. The price fell again during the 2008 housing and financial crash, and now trades at $34 per share (still good for a $9.6 billion market cap, but much less than in the home-trading heyday). Weagley likens day trading to betting on horse racing, evoking an image of a degenerate gambler hopelessly cheering for his horse to make a move in the final leg. And Carbonaro says day trading in the 1990s was largely a get-rich-quick scheme, with a few success stories overshadowing the fact that a majority of people lost money. These funds generally perform better and are cheaper than actively managed funds. In his 2016 annual report, Warren Buffett slammed hedge funds for charging customers exorbitant fees, and said his investment in a low-cost S&P 500 index fund nine years earlier had outperformed hedge fund managers, for instance.